Dr. Javitch’s research focuses on the structure, function and regulation of G-protein-coupled receptors (GPCRs) and neurotransmitter transporters, especially the dopamine D2 receptor and dopamine transporter (the targets, respectively, for antipsychotic drugs and psychostimulants). His studies of GPCRs are raising the possibility of a novel approach to drug design and screening. Dr. Javitch’s laboratory is also studying bacterial homologs of neurotransmitter transporters to explicate the mechanisms of sodium-coupled transport and the actions of antidepressant drugs that inhibit transport, as well as the dopamine transporter and dopamine receptors in the fruit fly. They have developed approaches to translate molecular mechanisms and whole-organism behavior using fly genetics. 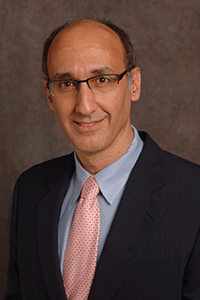 Dr. Javitch joined Columbia in 1992.